Because I can often be found flirting with or doing a full-on waltz with some type of headache, I've been doing intermittent research on them. Many sources now point to a physiological/biological answer to the question, "What causes headaches?" For example, Lawrence Robbins and Susan Lang argue that "the latest and most widely accepted theory is that the majority of headaches--namely tension headaches and migraines, which are thought to be on opposite ends of a spectrum--are caused by the depletion of the chemical serotonin, an important pain-reducing neurotransmitter (brain protein) that is involved in communication among nerve cells in the brain" (Headache Help, 5). 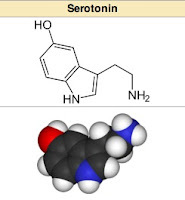 Serotonin is a kind of "neurotransmitter" (wiki) at work in the nervous system (I'm assuming it does something like "transmits neuros"). Robbins and Lang explain that "serotonin plays an important role in regulating the diameter of blood vessels, that is, in constricting and expanding them, and . 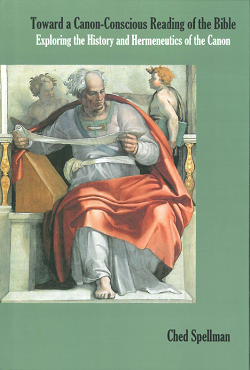 . . it is the dilation of blood vessels which causes pain." When things are working properly, the "nerves that surround the blood vessels in the brain's protective covering . . . release normal levels of nerotransmitters like serotonin, and no pain occurs." In the case of headaches, however, "certain factors, such as stress or a particular food, trigger a chain of events in people born with troublesome serotonin regulation" (Headache Help, 6). Researchers think that first a wave of electrical activity spreads over the brain. Then the level of serotonin surges, and blood vessels around the brain constrict. Consequently, as the serotonin seeps into surrounding tissues, levels of the neurotransmitter fall in the brain. This decrease in serotonin causes the blood vessels to become inflamed and swollen, irritating surrounding nerves and perhaps the trigeminal nerve, a large and complicated nerve that extends to the blood vessels around the brain and into the face. The inflammation of the blood vessels and the irritation of nerves causes pain. If this picture is correct, then what we think of as headache triggers are the factors that affect serotonin levels, which in turn cause the head pain. Because the root cause is in the structural make-up of the brain, some people are simply more prone to headaches and more sensitive to certain triggers than others. These elements (like bright lights, hunger, sleep schedule, stress, etc) aren't necessarily the direct cause of headaches per se, but rather "aggravate the biological condition that promotes headaches." This line of thinking posits that certain individuals are predisposed to headaches: "Researchers strongly suspect that this different brain chemistry makes you more prone to painful dilated blood vessels in your head, and to the uncontrollable firing of the nerve cells in the transmission of pain signals. In other words, your brain chemistry makes you more likely to get headaches" (Headache Help, 5). I'm not entirely sure what to make of these technical observations, but it has helped me think more clearly about what is actually going on in my head during a headache and what type of pain relief strategy might best suit the situation (either medicinal or natural). Incidental Note: the reading of this post may increase the likelihood that your own head will now ache. You've been warned.